OK, we’re playing a little bit of catch-up on this one. It’s a Commission we finished back in (ahem) June of last year! Anyway, it was under wraps for a little while after then but now it’s out there in the wild, so here it is! If you live in Edinburgh, you’ll know of the Appleton Tower. As well as being housing some of Edinburgh Universities Students union and being the Edinburgh Fringe Hub - it’s also the home to the School of Infomatics. They’re a world leader in artificial intelligence, natural language processing and machine translation, and theoretical computer science. We were approached by the School to see if we could build a model of their building, with a twist. Whilst the building has been around since 1966, in 2017 it went through a major restoration to replace all the external cladding and add in another floor. Since then it’s won awards and the School (and the students) are very proud of their new home. The plan was formed to build the school, but make sure the staff and students are very much part of the building, and of course these change every year. Working with the School, we developed a plan to make the building at minifig scale (sig figs are very welcome here!) but also to make every floor separate and individual. 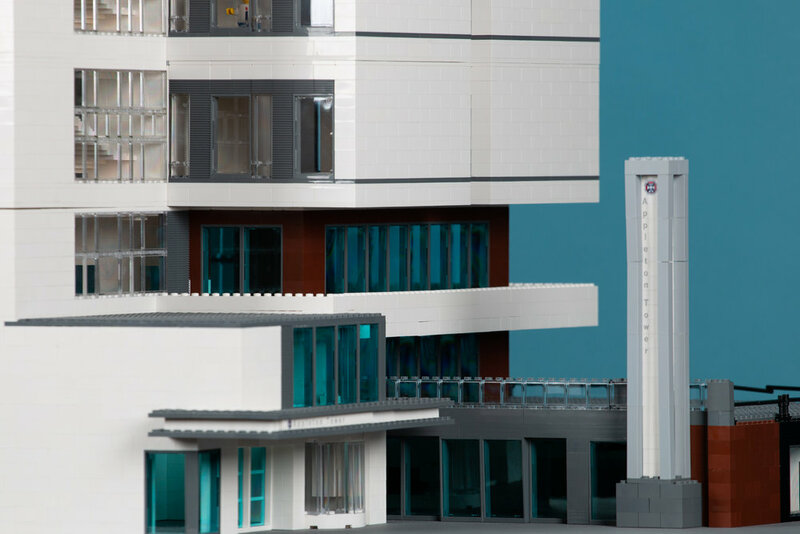 This is, essentially, the ultimate modular building! If you look very closely at the building you might see the lines in between each floor where they connect into each other. 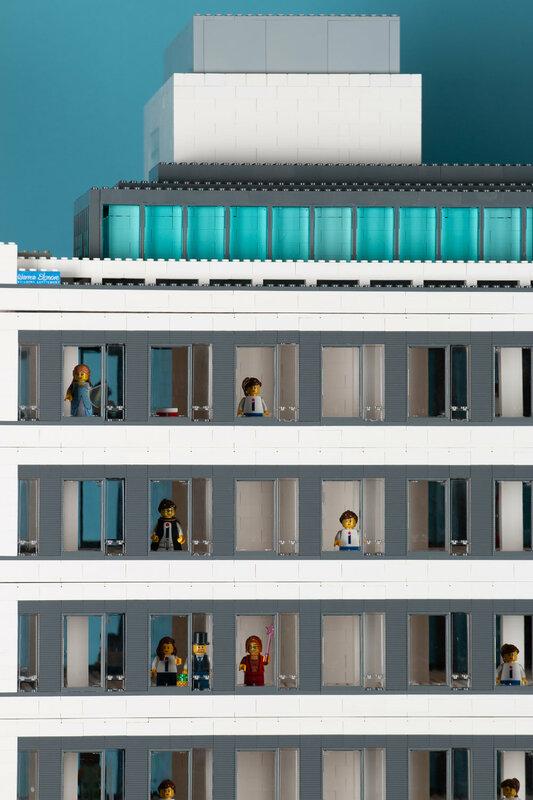 7 floors can be added onto the base one by one as they are populated with minifigs by the School. Finally, the new rooftop extension can be added (with a custom printed mural, just like the real thing) and the rear staircase locks it all together.